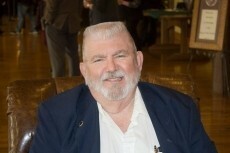 Writer Profile-Patrick C. Kansoer Sr.
Connect with writer Patrick C. Kansoer Sr.
Patrick C Kansoer Sr is, among other things, an old, bearded curmudgeon; a life-long, self-professed wordsmith, whose first language is sarcasm. Dabbling in many vocations in his early years, (circus clown; stand-up comic; traveling salesman and refuse collector), he finally settled down serving as a political consultant, security agent, paralegal, researcher and private investigator for a number of attorneys and private clients in the Chicago metropolitan area. He and his family and two inside and eight outdoor cats, along with numerous opossums, raccoons and the occasional armadillo live in the Missouri Ozarks. Leave a message for the writer with penname Patrick C. Kansoer Sr.